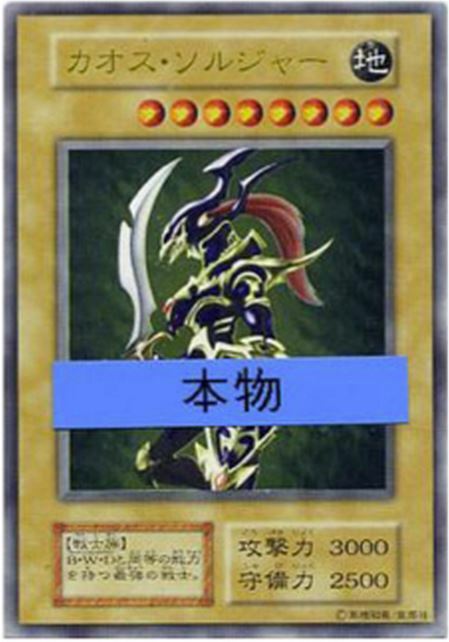 According to website Kotaku, this rare Yu-Gi-Oh card is one of a kind and is being sold for 998 million yen ($10 million USD / €7571170.00 / ₱446000000.00). The card is printed on stainless steel, and was given to the winner of the first nationwide Yu-Gi-Oh tournament in Japan in 1999. On CardCollectors.jp, the seller states that this one-of-a-kind card cannot be used in tournament play. The card comes with a letter of authenticity as well as a handful of other apparently rare cards as freebies. If you can pay for the card via Paypal. February 21, 1999 on Sunday, is distributed the card winners at the national convention was held in Ginza in Tokyo “DMI”, in attendance, this “Chaos Soldier” is made ​​of stainless steel. It is a valuable one card in Yu-Gi-Oh national champion prize world. This “Chaos Soldier” and can not be used in the official Duel. This entry was posted on 08/31/2013 by Byungsuk Kim in Computer, Microsoft, Nintendo, Sony and tagged Japan, Kotaku, Paypal, Tokyo, Yu-Gi-Oh, Yu-Gi-Oh! Trading Card Game.